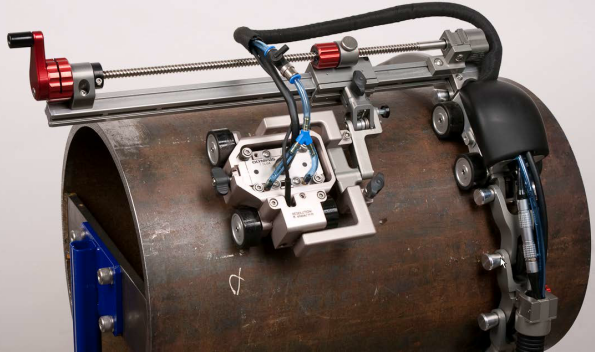 The HydroForm scanner is high performance corrosion mapping for rough and uneven surface. It is designed to offer the best inspection solution for detecting wall thickness reductions due to corrosion, erosion and abrasion. Inaddition, HydroForm also detects mid-wall damage such as hydrogen-induced blistering or manufacturing-induced laminations and easily differ entiate these anomalies from loss of wall thickness. Using Phased Array Ultrasound Technology, The HydroForm offer high resolution, fast coverage and scan at a speed up to 100 mm/s. HydroFoam allows to apply for plate, pressure vessel and piping diameter 4” and greater. 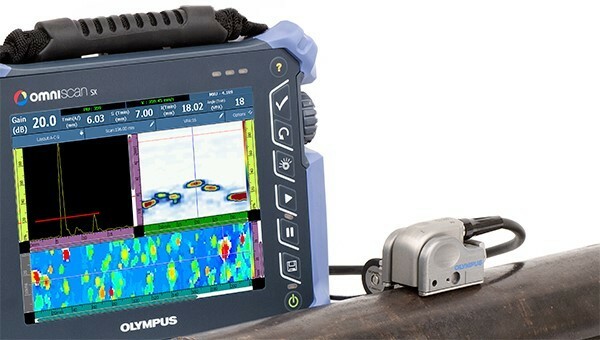 Dual Linear array probes are improved for detection in corrosion on small pipe and limit access area. Fully scan coverage of the area under examination and improved effectiveness over random Ultrasonic Thickness Measurement. Corrosion Mapping produces a permanent record of corrosion measurements. It useful comparisons corrosion rate under in-service condition and also a corrosion monitoring program can be optimized. 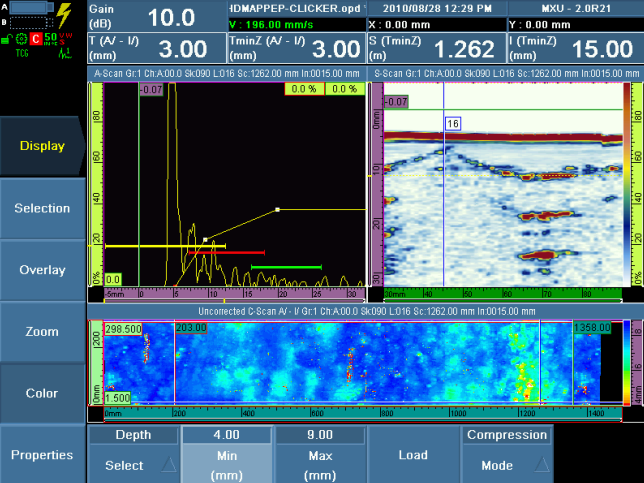 C-Scan plan view display allows easy interpretation and evaluation of present corrosion or erosion damage.